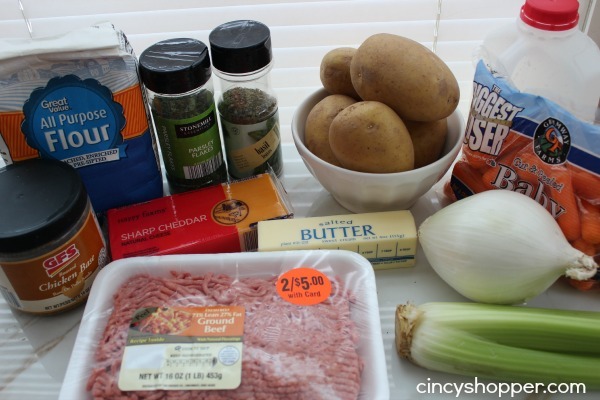 Another cold day here in Cincinnati had me cooking Cheeseburger Soup. Hot soup on cold days is perfect. The kids and hubby are always happy to have soup for dinner. With all the craziness around here today (kids are home from school), I did not have time to make a slow cooker meal which I had planned. 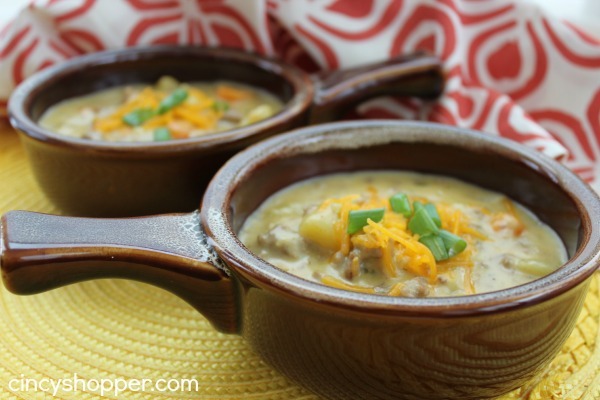 So, I made up this quick Cheeseburger Soup and some fresh salads for dinner. This recipe was a hit! All of the kiddos (except for one, ha ha) like ground beef and cheese. So, this soup is perfect. I like that I can usually sneak vegetables into soup and actually get the kids to eat them. 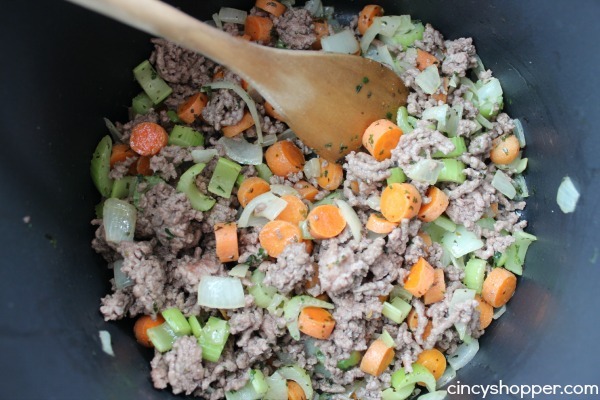 I have been catching quite a few ground beef sales lately (which is rare) so, this meal was perfect to use some! 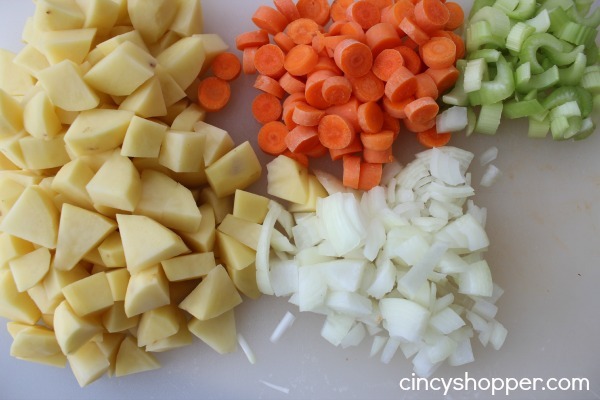 When making this soup I stress to use a sharp cheese (it will leave behind less grease than the cheddar that is normally used in soup). I had considered taking the night off from cooking and ordering in some pizza and I am so happy I didn’t. 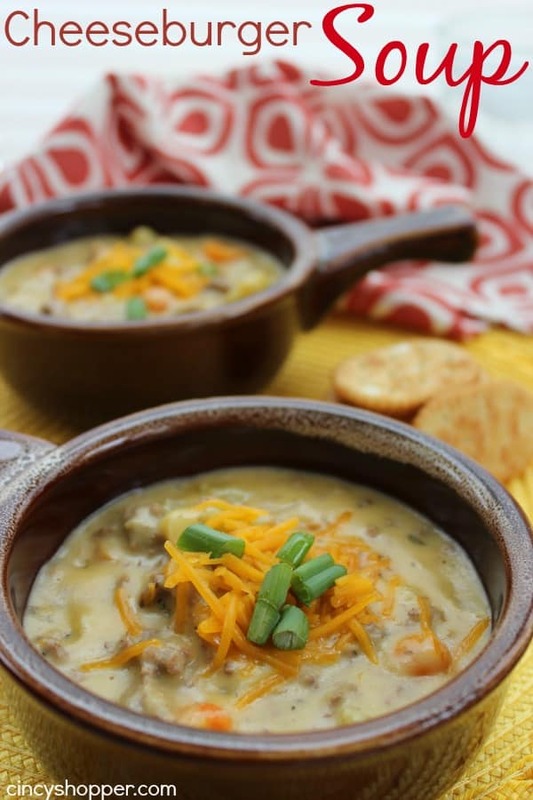 Everyone loved this soup and I enjoyed the fact that the hubby cleaned up the mess ha ha!